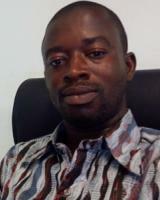 Francis is a lecturer at the University of Ghana, Legon. He holds MPhil and PhD degrees in Social and Developmental Psychology from University of Cambridge. He was a Commonwealth Scholar, Smuts Cambridge International Scholar, and Benefactors’ Scholar of St. John’s College. His doctoral research project examines the notion of ‘work-family balance’ and its implications for families in the African context with special focus on Ghana. His research interests are in the areas of Work-Family Interface, Family-Supportive Organisational Policies, Gender, and Cross-Cultural Research.